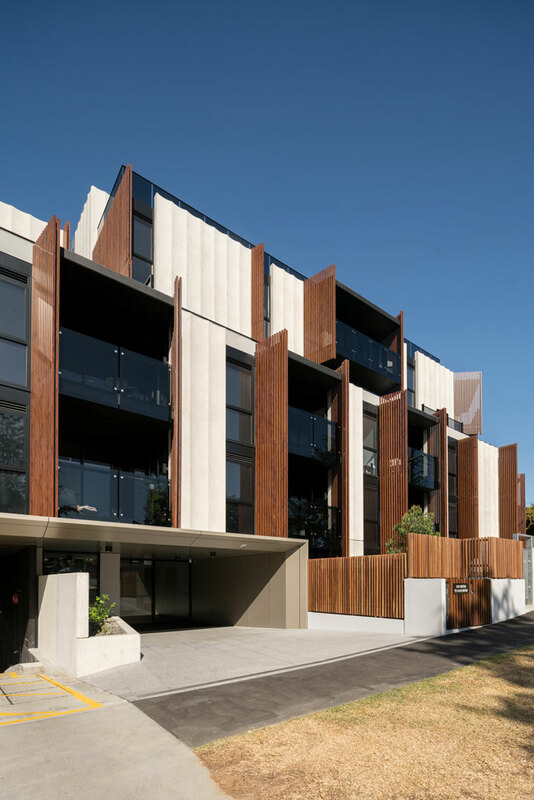 At once modern and inviting, the beauty of the Trentwood residential development is found in its thoughtful layering of architectural elements. 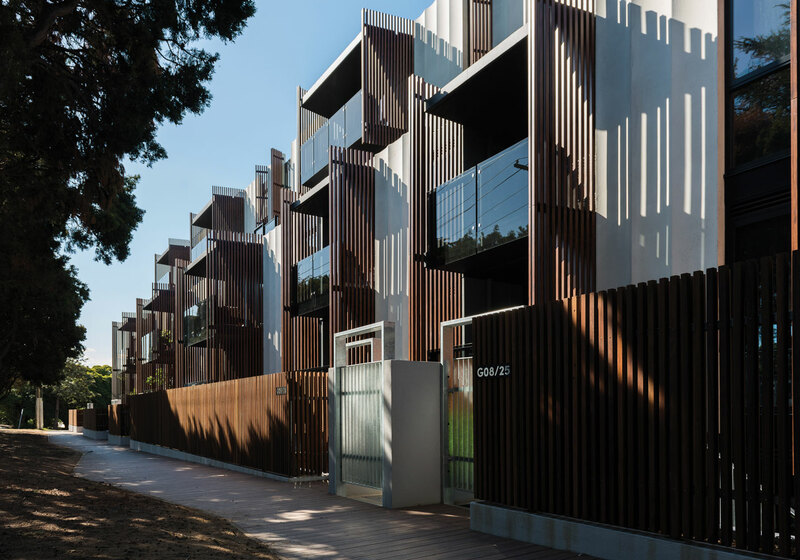 Rhythm is created across the exterior, with semi recessed balconies, warm timber screening and fluted concrete panels creating a linear façade that is both striking and welcoming. The fluted precast concrete panels and a refined material palette define Trentwood’s unique character. 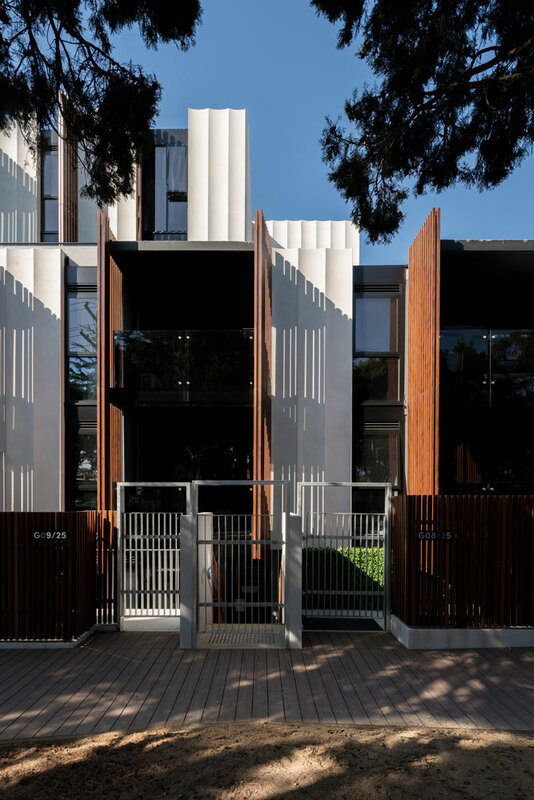 Timber screens along the facade serve the practical function of light filtration and view channelling, while allowing residents to enjoy ultimate privacy. Garden terraces facing Trent Street are provided with individual access from the pedestrian boardwalk, with each terrace entry set back within a landscape buffer, creating a transitional threshold between private garden and boardwalk. 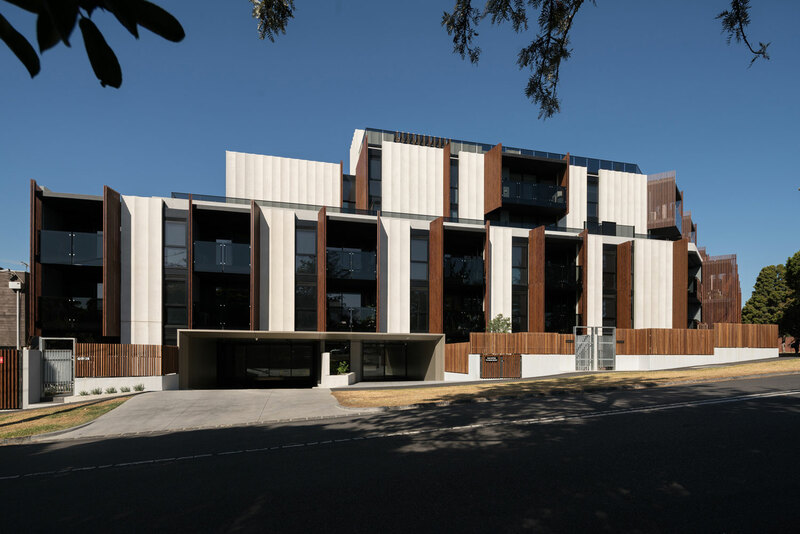 This echoes the existing residential entry sequences of the surrounding neighbourhood and supports the pedestrian activity with the adjacent Burwood train station. A communal roof terrace offers shared BBQ facilities, a vegetable garden and variety of relaxation areas for residents, supporting the creation of a shared community within the building and allowing all residents to access superb views across the wider area.